Introduction: With the introduction of the Vengeance and Vendetta, we kind of knew where Abu Garcia was going with their rods and the strategy makes sense. Anglers today are looking for that one rod with appeal and performance, and at the same time it has to be at the correct price range. 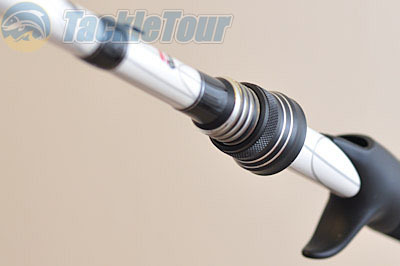 Already seen on our TackleTour Forum, Abu Garcia will soon be revealing a new affordable rod named Veritas. 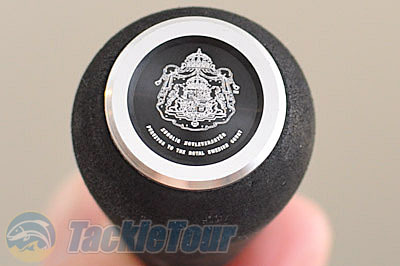 This new bass rod will be one notch higher than the Vendetta but still have a great price of under $100. Let's see what this new "next generation" rod is all about. The Concept: Before getting into the fine details of the rod itself, we spoke to Jim Coble, Product Manager at Pure Fishing who was the head designer of the Veritas bass rod. He stated that with this rod, they, meaning the team at Abu Garcia, was simply trying to give consumers an honest product without all the marketing hype, and big margins. In his own words, "We're not looking to cheat anyone of their money." The name and color has its own story too. 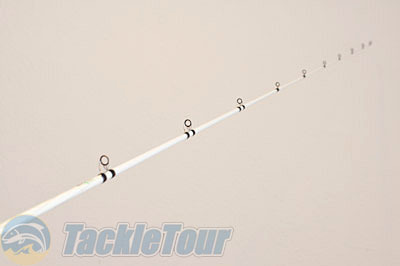 The word "Veritas" stands for truth in Latin, hence the color of white as in purity, or honesty as mentioned earlier on why Abu Garcia decided to make this rod for anglers. If any other manufacturer made this rod, it would have sold for a lot more. The Design: This rod is not yet complete. In fact, what you've seen out there thus far including the photos in this preview are of a rod at its developing stages. This prototype is under constant refinement with the complete design scheduled to debut this July at ICAST. Michael Iaconelli will be fishing this rod at the Bassmaster Classic tournament coming in a couple of weeks. Most will wonder what rod he is fishing with, but after this inside scoop, now you will know. 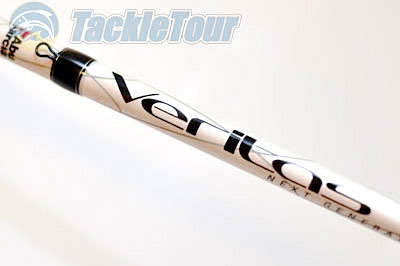 The Veritas rod is constructed out of 30 Ton graphite with Nanotechnology infused resin. With this combination Abu Garcia was able to reduce weight and increase compression strength by just over 20% compared to say standard graphite. 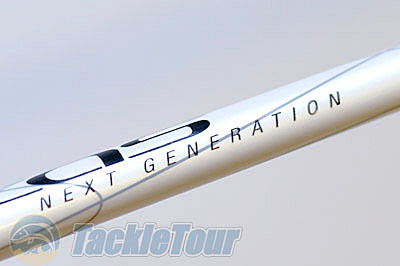 Component wise Abu Garcia is working with a new company called Evolve which will produce parts to their specification. The guides on this prototype rod are the first thing that will be changed. It will be a much lower profile frame than now but will still be Titanium Alloy with thin SiC inserts. The reel seat is actually 100% proprietary to Abu Garcia and is an in-house design and tooling. The reel seat locking mechanism is made of aluminum and made to match the rod nicely. 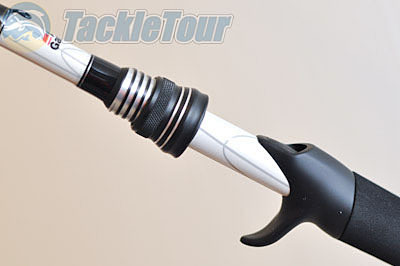 The trigger is minimal so an angler gets maximum contact to the rod blank when fishing for greater sensitivity. Abu Garcia did not pick the color white out of a hat. They looked at the history of rod colors and the two most common classic colors were black and white. And as mentioned earlier the name Veritas, truth, purity, and white all go together. BMW owners might appreciate this as the white isn't just any white. This is actually the same BMW car paint color called Alpine White III (color code 300). If you look at the overall rod and it's color scheme, it's very attractive compared to say the unnamed white rods with clear guide wraps. The black wraps on the guides on the Veritas along with the unique handle and graphics put on the blank all give it a nice appeal. The final production rod will be much lighter than the prototype and will be adjusted so the balance point is right at your hands. To reduce weight the rod does use a dense EVA foam on the split rear handle. The Veritas rods will have a total of 13 models - 8 casting and 5 spinning and all will retail for a very aggressive $99.95. Conclusion: The Veritas, again is at its pre-production stages. Fine tuning is underway to refine the guides, reduce weight, improve graphics, and adjust balance points. Further, you can be sure Iaconelli will be providing his feedback on these rods after the 2010 Bassmaster Classic. 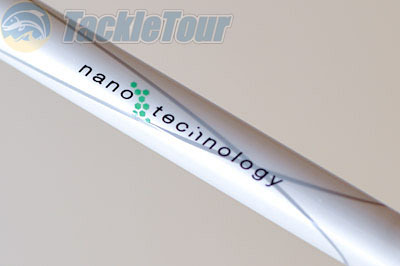 The prototype rods are already pretty sweet in terms of design and price point. 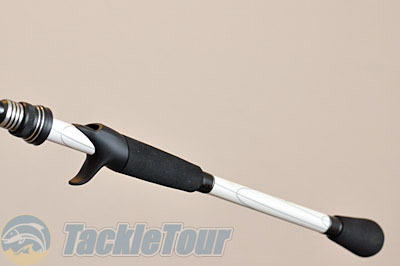 We can't wait to catch a few bass on this new prototype rod to see how it actually fishes, and also to see the final production rod that will be introduced at ICAST this summer and available in stores September 1, 2010 - just in time to squeeze into our "Search For One" roundup.